Q. Can I use tap water or boiled tap water? ensure your batch of kombucha will not become moldy. Q. My kombucha has been fermenting for a period of time and is developing a cloudy layer on top. Is this normal? A. Yes. The cloudy white layer is the beginning of a new baby kombucha culture. 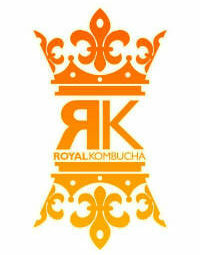 The formation of a new culture is a sign that your batch of kombucha is fermenting properly. Q. My batch has been fermenting for five days and is developing brown stringy pieces. Is that normal? A. The brown stringy particles are yeast particles and are harmless. They are a natural byproduct of fermentation. Q. My kombucha culture sank to the bottom of my container, is floating sideways, rose to the top of the liquid, etc. Is this normal? A. Depending on a number of factors (including humidity), the culture may sink, float or sit sideways. Any of these is normal and will not effect the brewing process. Q.The new baby kombucha culture seems to have detached from the container opening. Will this mess up the fermentation process? A. Having the baby culture detach from the container opening is common if the jar is bumped or moved. It does not effect the fermentation process. If you continue the culturing process, a new baby culture will begin to form on top of the liquid but again, does not affect the culturing process itself. Q. I’ve been storing a batch of finished kombucha for a few days and it seems to be developing a jelly-type mass on top. Is this normal? What is it? A. The jelly-type mass is the beginning of a new baby kombucha culture. Even after the main kombucha culture is removed, the kombucha remains full of living yeast and bacteria which continue to ferment slowly on their own. Consequently idle kombucha will eventually form a new baby culture. These cultures start out as a jelly-type mass and eventually form a full blown culture. If you leave a batch of finished kombucha long enough, it will eventually form a full scoby on the top just like it did during the initial fermentation process. You can remove and use this culture just like any other culture. If you accidentally consume the culture (easy to do when it’s still in the jelly-type mass state) it is not harmful. Q. My kombucha culture has a hole in it because I had to separate it from the mother culture after they fused. Can I still use it? A. Kombucha cultures will work just fine even with holes or if they have been torn in half. Q. Can you use raw or organic sugar? Yes you can experiment with raw sugars and teas but we recommend for your first batch use regular sugar ,regular tea and distilled water. Organic products tend to cause mold, once you have a back up culture (the new baby from your first batch ) you can try different combos. Q. Does the size of the kombucha culture matter in relation to how much kombucha I will be brewing? A. A larger culture will grow faster and is recommended for larger brews. Some company’s offer a mini starter kit and in theory it will work , although it will take longer and is more prone to mold. Q. My batch of kombucha has developed mold. What can I do? Q. My kombucha culture has turned black. What should I do? A. A black scoby is a sign of a kombucha culture which has been contaminated or is worn out (takes a long time and many batches to do this). If your kombucha culture turns black, it should be retired to the compost bin. Turning black is not to be confused with developing brown or slightly discolored patches. Yeast build-up will result in brown spots or stringy particles attaching to the scoby and is a normal byproduct of the fermentation process. Q. I’ve been brewing kombucha for awhile and am overrun with kombucha scobys. What can I do with them? A. Because a new culture is created with each batch, you may quickly find that you have too many cultures, If at some point you find yourself with more kombucha scobys than you can use, you can either compost them or give them away to friends and family .Be sure to give them a copy of the instructions or refer them to our website to download the instructions so they have all the necessary information. Q. What signs should I look for to determine the kombucha mushroom is culturing properly? A good indication that the kombucha fermentation process is proceeding normally is the formation of a new kombucha culture over the opening of the brewing container. The development of mold(generally green but not always) is a bad sign. If your batch of kombucha develops mold, you will need to throw out the batch and the culture . The most common reason for mold development is improper ingredient ratios or using any other water than distilled. Q. I have a big pantry but I’m not sure I would describe it as well ventilated and it probably gets cold in there when the rest of the house is cold – although probably not as cold. The top of the fridge is possibly warmer. Do you have any suggestions? A. There are a few different inexpensive ways to keep it warm, One interesting way I’ve seen done is a low wattage black light bulb inside of the cupboard. Another way was a heating mat on a timer. Some people put them in a brown paper bag in their cupboard,under their sink,on top or behind the fridge and they do just fine. The warmer it is, the more consistent your brew will be and the less likely it is to grow mold. Q. How do I make it FIZZ? A. You can add the fizz / effervescence after the initial fermentation. Strain it ,Bottle it in an air tight container and let it sit for a few more days testing every day or so. Q. Is kombucha an aerobic or anaerobic bacteria? A. The surface area is the most favorable location for both aerobic bacteria on the top of the new “pancake” and anaerobic bacteria on the bottom. The surface area also has ideal concentration of oxygen for the yeast in the matrix to propagate readily.The container is often covered with a closed weave cloth to prevent contamination by dust, mold, and other bacteria, while allowing gas transfer (“breathing”). A “baby” SCOBY is produced on the liquid/gas interface during each fermentation. until next week. Should I keep the scoby in the fridge or leave it out? of tiny grains of the black tea. Could this be a problem? A. Your culture is fine as long as mold isn’t present.Give it a quick rinse with distilled water before you start your next batch. Q. My scoby is is a light brownish color. Do you think it’s alright? A. The older your culture is the browner it gets. Brown is the sign of a tired culture and it will soon be time to retire it to the garden .That is why we recommend you keep a stockpile of cultures in a glass jar rotating them as you go . A newer culture will be a light cream color and will produce healthier babies .